Diamonds Cats slot by Amatic offers to get the maximal delight from the gaming process as it is dedicated to the theme of the tenderest animals in the world. Beautiful high-bred cats are placed on five reels with their stunning owner. If you are a lover of cats, it is a great chance to win big money prizes by playing Diamond Cats slots for free or real money. 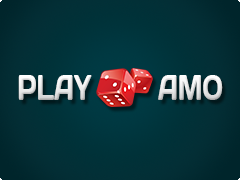 We are sure that all players will have unforgettable emotions and profitable wins. As you may notice from the first spin of the reels, each cat has the personal collar with the beautiful diamonds. There are no fabulous graphics or awesome musical background. However, it has no influence on the gaming process. Diamond Cats slot online appeals players by its simple rules, interface and uncomplicated Bonus levels. Also the most popular game among fans of cats is Miss Kitty video slot by Aristocrat that will present Bonus Free Spins with Sticky Wild. As Diamond Cats slot machine is based on the animals theme, the symbols are also pictures of cats of different breeds. The common set of gaming symbols includes the portrait of their owner- beautiful girl with the diamond tiara. She is the most expensive picture that will present up to 1000 coins. Of course, Amatic providers could not avoid traditional pictures of playing cards – from Ace to 10. The specials are Wild and Scatter. The role of Wild will play the picture of pink heart that replaces other symbols except for Scatter. Scatter is the picture with Bonus Spins sign. 3 or more Scatters will trigger Free Spins feature. Each gambler is going to catch up to 10 Free Games. If it is not enough, have a try at Gamble Bonus. Your purpose is to choose the right color and value of the card. It is going to double your previous winnings. As you can see, Diamond Cats online slot free is usual gaming product that presents simple rules and good profits in Free Spins Bonus.